We are professionals who care. We care about how your property will look. We are adamant about providing you with our very best iron, aluminum and stainless steel products, which add value to your residence or commercial property. 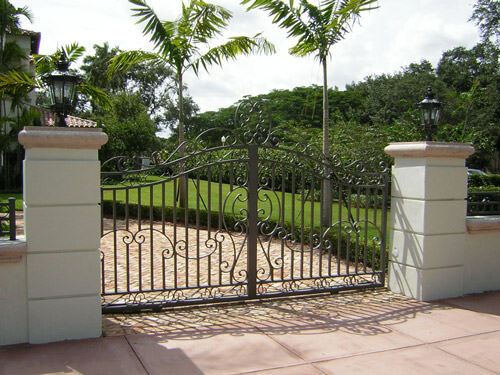 We know it is important for you to have a fine quality product, such as an elegant iron and aluminum fence, or a beautiful ornamental gate. This is an integral part of your property’s fine architecture and looks. We want our products to enhance your home and property. We want you to feel proud of your possessions! Westside Iron wants to excel at providing you the best iron, aluminum, durafence and other metal works that beautify enhance your property, its value, and its safety. Let us provide you with a free estimate of our best wrought iron, aluminum, and stainless steel products — ornamental fences, ornamental gates, indoor stair railings, balcony railings, or any other of our products designed and/or customized just for you. We serve both, commercial and residential customers throughout Miami Dade, Broward, South Florida and beyond. We regularly manufacture and ship our products to clients around the Southern United States and the Caribbean. Let us give you a free estimate of our professional work. We would love to put our 20+ years of experience to work for you! Call us to set an appointment or to request your FREE estimate today!